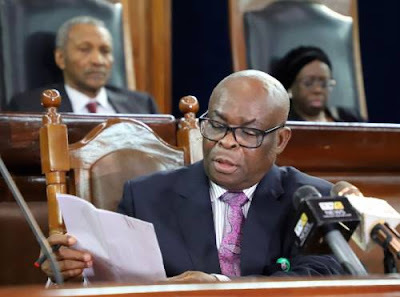 A senior investigation officer of the Code of Conduct Bureau (CCB), Mr. James Apala on Monday told the Code of Conduct Tribunal that the suspended Chief Justice of Nigeria, Walter Onnoghen submitted two assets declaration forms on December 14, 2016. He said one of the forms had two Union Bank accounts while the other had seven bank accounts with two kept with Union Bank and five others with Standard Chartered Bank. 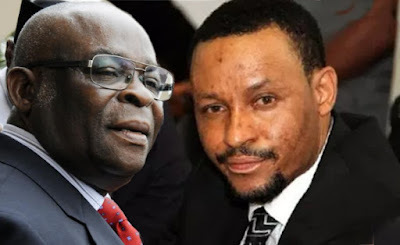 Apala was testifying as the first prosecution witness in the trial of the suspended CJN on the charges of false and non-declaration of assets charges preferred against him by the government. The witness, led by the prosecuting counsel, Mr. Aliyu Umar, said the first form earlier admitted as Exhibit 2, covered the period June 8, 2005 when Onnoghen was appointed a Justice of the Supreme Court till November 22, 2014. He said the second form as Exhibit 3 was declared after the defendant assumed office as CJN. Fielding questions from the prosecuting counsel, Apala said the two forms were received by an official of the bureau, Awal Yakassai, on December 14, 2016. He confirmed that the two forms had acknowledgement slips bearing the same date.